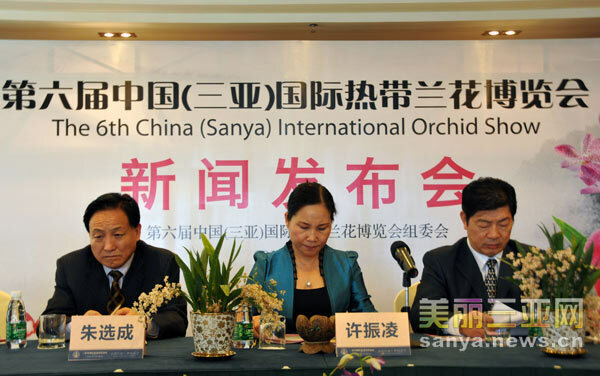 The annual China (Sanya) International Orchid Show will be held at Sanya Luhuitou Square from Jan.1 to Jan.5, 2012. Following a theme of “Orchid Makes Life Better”, the show includes 120 exhibitors from 12 countries including Japan, Italy, Thailand, Malaysia, Singapore, Philippines and Vietnam. The exhibition hall covers 12,000 square meters with 15 orchid display areas such as a rare orchid plants area, orchid-related artwork area, photography area, handicrafts area, and flower arrangements area, and more than 30,000 orchid flowers will be on display. Besides, various activities like a trade fair, auction, photography, handicrafts, academic forum and lecture will be held during the orchid show. The opening time for the show will be 8:00am to 22:00pm from Jan 1st to 5th. During the period, tourists and resident will have the opportunity to appreciate the diversity of tropical orchids.